Who’s going to teach the fifth grade class? Who will take the teens to the conference? Some years, it may actually be the same people. They may also clean the church building on Thursday and mow the lawn on Saturday. People can be amazing sometimes! But chances are, in many contexts, there is not a surplus of leaders waiting in line to take on these kinds of positions of service. While having an abundance of willing servants could make the management of ministry seem easier, coping with human resource problems may actually be an opportunity for spiritual growth, both personally and for the church. For some, developing leaders in-house may be one of their options, but for others it is a necessity. 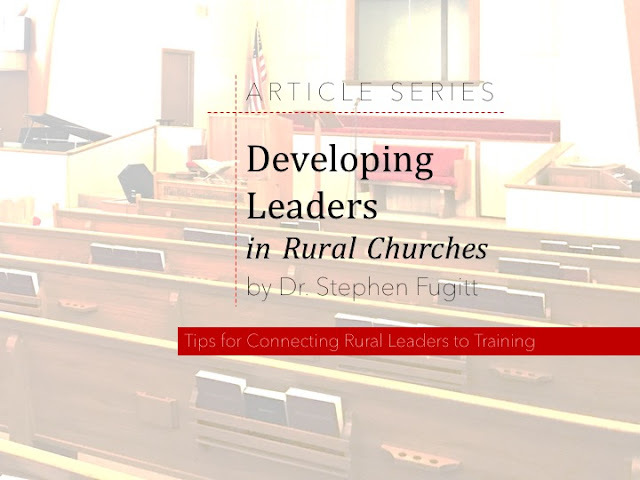 How can churches in this context take advantage of opportunities for training? Because of location, taking advantage of quality opportunities may be a real challenge. Convincing people to participate in an event some distance away can be a hard sell, if you can sell it at all. When opportunities are present, however, make sure you schedule them as early as possible on your ministry calendar. The earlier the contact, the more likely they will be able to work the dates into their busy schedules. Organize an in-house meeting. Get key leaders on board by asking them to present at the event, and provide them with quality resources. Then bring people together for a time of directed and purposeful interaction, with the church’s mission as the focus. Don’t forget that whatever else we are doing, we are making disciples (Matthew 28:19-20). You might be surprised how many transferable ideas your people will be able to offer each other. Be sure you have a prepared agenda before you start. Begin by announcing what you hope to achieve, and return to that goal from time to time throughout the meeting. Following a plan will keep everything moving in the intended direction. Whether you travel to another site, or arrange an in-house training opportunity, encourage good note taking. Later, whether upon returning, or a few days afterward, have participants share notes and impressions of what they experienced. This time of group reflection can help lock-in transferable truths to enhance the church’s ministry.